Funko POP Movies Labyrinth Ludo 6-inch Tall Super Sized POP Vinyl Figure are here! Get yours today! Andy Warhol White Brillo 8-inch Masterpiece Dunny Vinyl Figure by Kidrobot are here! Get yours today! 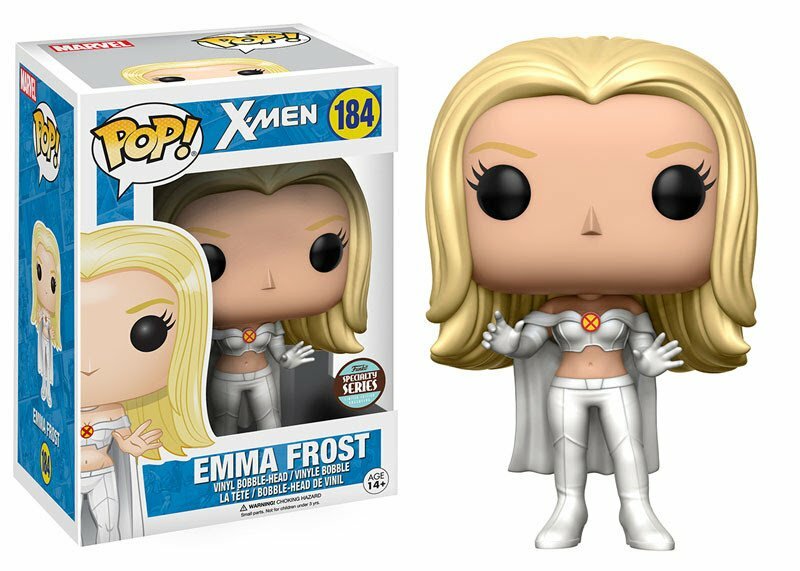 Funko POP Specialty Marvel X-Men Emma Frost Vinyl Figure #184 are here! Grab yours today! 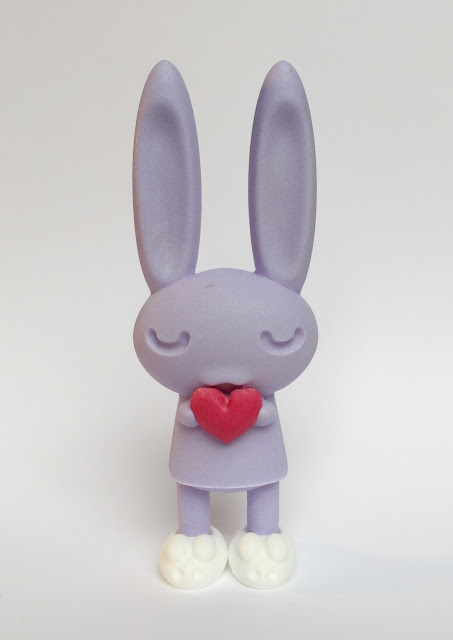 Cult toy designer Peter Kato will release fifteen exclusive color variations of his Bedtime Bunnie figures created exclusively for PIQ. These custom versions of his signature sleep walkers hold contrast colored hearts in their hands. Only available at PIQ Grand Central Terminal and PIQgifts.com. Read the interview with Peter at PIQgifts.com. 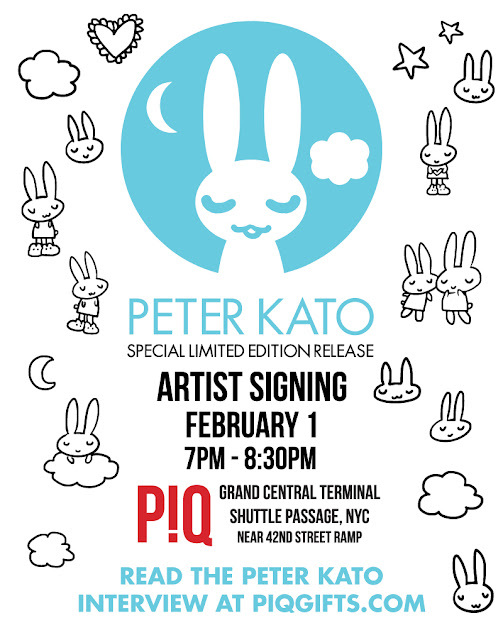 Come meet Peter on Feb 1 from 7:00-8:30 PM at PIQ and find out why the Bunnies are so sleepy. Peter Kato’s art toys are collected and obsessed over worldwide. Starting as an illustrator and comic book artist, he learned sculpting through his work with Cortes Studios in Brooklyn. Through traditional molding and digital design, Peter creates strong silhouettes and simple shapes that somehow speak to all of us. Patrick Wong announces his latest art figure preorder for "ST-60", a visual mashup of the Star Wars Stormtrooper helmet and the Akai MPC60 sampler. 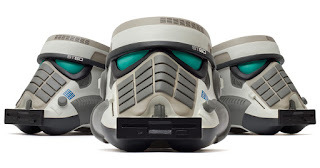 The new release should appeal to fans of Star Wars and music producers who worked with MPCs during lives. 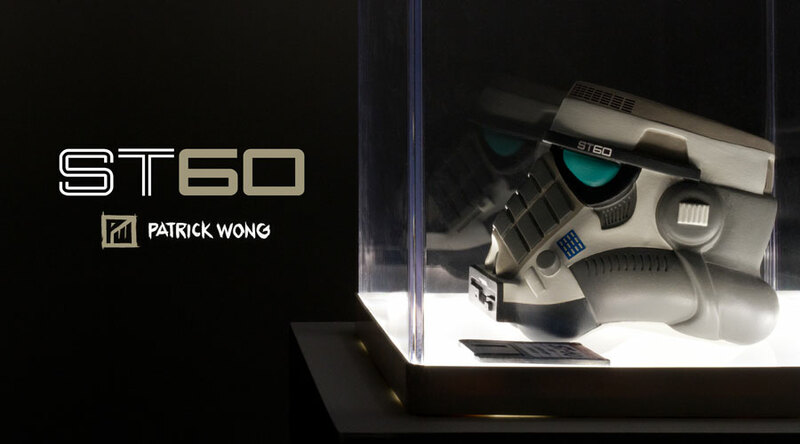 The "ST-60" is the followup version to his own piece "ST-1200" completed back in December of 2015. 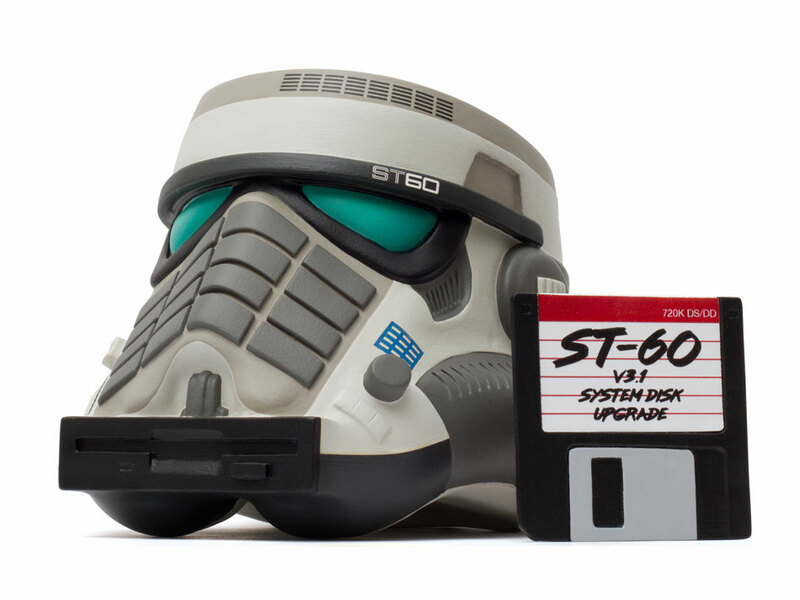 Due to the popularity of that artwork, Wong decided to produce a small limited edition run of figures in a similar strategy but this time fusing the Stormtrooper with the popular MPC60 12-bit sampling drum machine first released in 1988. Available for a short time until Feb. 4th, 2017. The limited edition figure is priced at $145, each piece is individually numbered, and includes an accessory "floppy disk". Ordered pieces are expected to ship in the beginning of March. Visit his webshop for details: http://patrickwong.bigcartel.com. Patrick Wong is a professional illustrator and artist based in Vancouver, Canada. 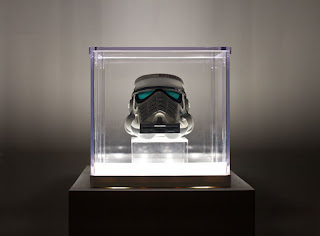 He has been recognized by Applied Arts Magazine, American Illustration, Society of Illustrators Los Angeles, and Creative Quarterly the Journal of Visual Arts and Design for his work and has exhibited in galleries throughout the United States. 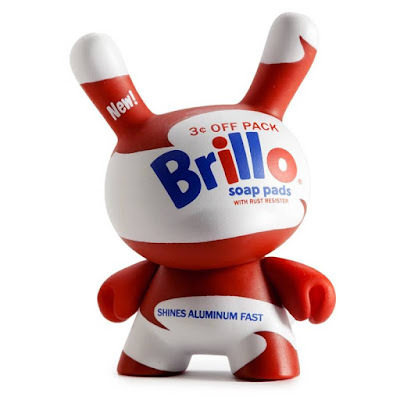 His illustrations have been published by the Washington Post and the Sunday Times, and is the designer of Fonzo & Friends series 1 vinyl minifigures. For more information, please visit www.patrick-wong.com. As we come up on our 13th year of selling on eBay, we are celebrating the platform that launched our business. Yes, it's true: in 2004 we didn't know the first damn thing about creating a website, and ecommerce was in its infancy in terms of technical sophistication, so we launched Tenacious Toys on the one platform that made sense to us: eBay. Since then, of course, we figured out how to sell on our own independent ecommerce site, and later we also established accounts on all the different Amazon marketplaces. We even launched our own iOS app! But eBay holds a special place in our hearts. 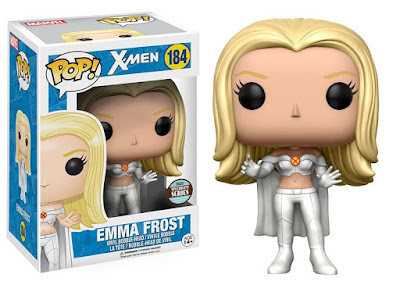 Back in 2004 on eBay we sold Little Apple Dolls, a few "urban vinyl" figures, and small selection of random toys we picked up from smaller vendors and indy producers like SKET ONE. I remember spending a few hours on our Little Apple Dolls eBay listing because I had no idea what to say or how to present the product. Now I have apps and listing tools that can list hundreds of items at the same time, in seconds. It hasn't been all peaches and cream. 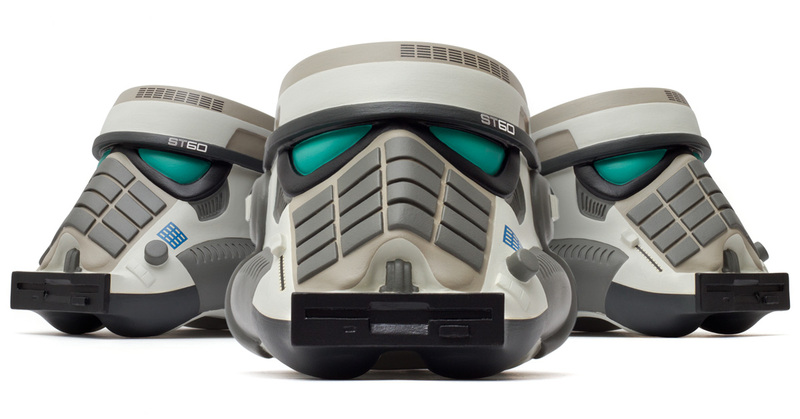 We've been blasted repeatedly on the Kidrobot forums for selling our products on eBay. 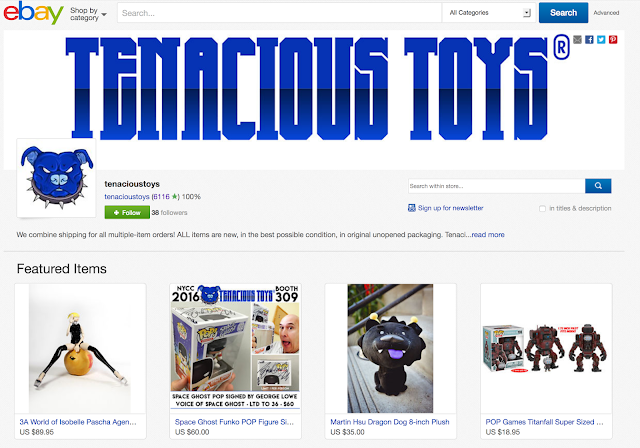 We've also been called idiots for making our username on eBay "tenacioustoys" as the boardies think it's better to be deceptive and cheat customers (maybe because so many of them are flippers?). There are a few boardies who still hate us. ROFL! 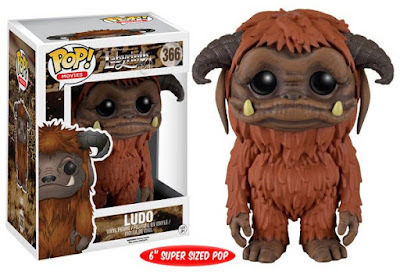 And Kidrobot, for a few years, prohibited us from selling their items on eBay. Thankfully that was overturned. Fortunately, these days it seems that most customers and vendors understand that each retailer has a whole ecosystem of shops on various marketplaces, and we have to try to make sales wherever we can to stay in business. eBay is STILL an integral part of our ecommerce strategy, and while our monthly eBay sales numbers are lower than those of our regular website, eBay does add significantly to our gross sales. I will never apologize for using the eBay platform to make sales. In a day and age where our beloved art toy retail shops are going under left and right, I have to say, I am thankful for eBay and for all of our customers who have stuck with us for over a decade. Here's to another decade of awesome toys! Big thanks to all customers who preordered the 3A Action Portable Wave 2 figures! Those items are in transit on the way to our warehouse right now via EMS, should be arriving within a week. Preorders will be shipped immediately upon arrival and tracking will be emailed automatically. 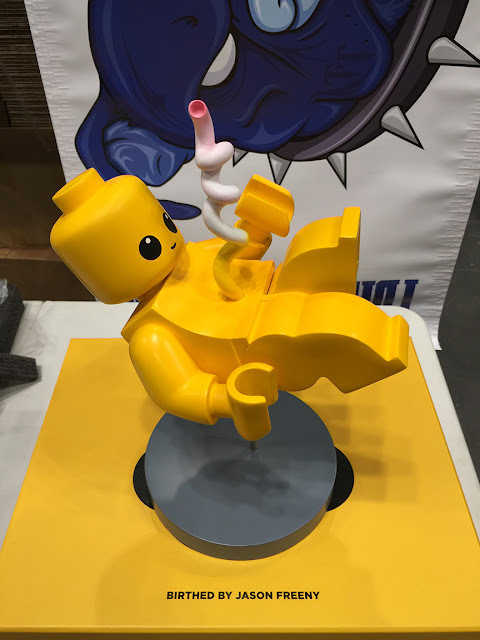 All Brick Babies preorders have now been shipped! Thanks to all of our customers who preordered and waited patiently for the delivery date! If you missed out, add yourself to our email list so you don't miss the next hot item. People on our email list get special info before anyone else.